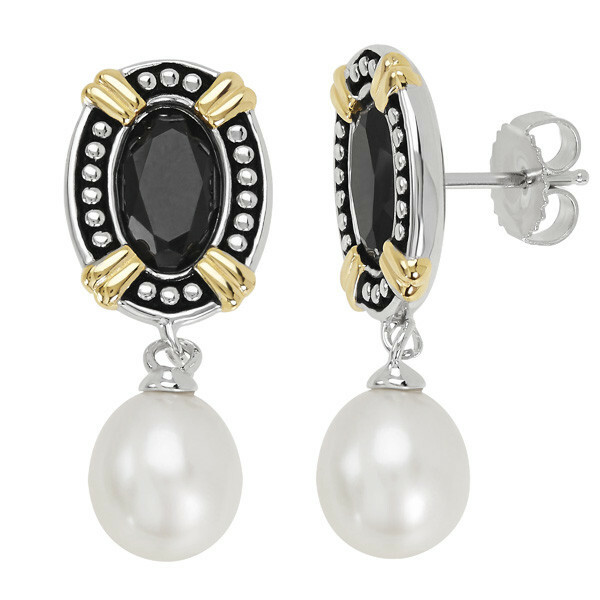 These glamorous earrings are a part of the Deco Noir collection by Honora. Crafted in sterling silver, a post with an oval black onyx gemstone, surrounded by bead detail and gold plate accents, supports an 8.5-9mm freshwater cultured pearl drop. These Honora earrings have an easy-going elegance.